Taking salinity measurements has never been more economical or quick, Eutechs EcoTestr Salt comes complete with rugged stainless steel pin sensors for extra durability against harsh applications and the capability to measure ranges from 0 to 10.00ppt. Accuracy is ensured up to ±2% full scale with the addition of optional manual calibration for better accuracy with near-to-sample calibrations. Additional handy features which make the EcoTestr Salt efficient are the click-lock battery compartment which requires no tools for battery replacements, hold function which temporarily freezes readings for ease of recording and the sensor protective cap that doubles as a container for samples or calibration solutions. 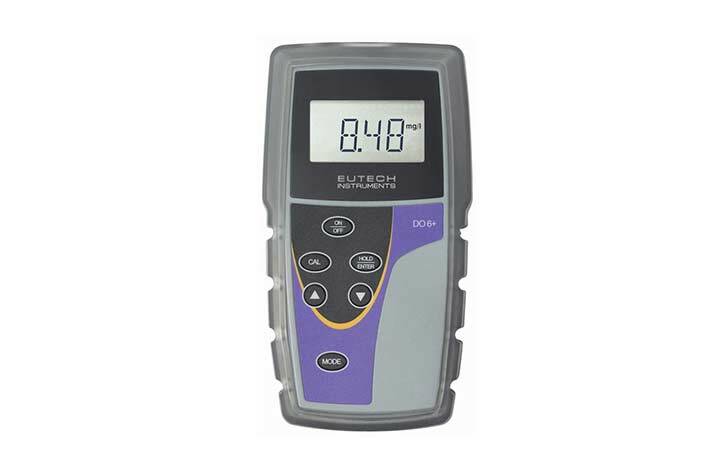 This product is cased in an IP67 waterproof body plus it floats should the device be dropped in water and is protected by a 1 year meter warranty. 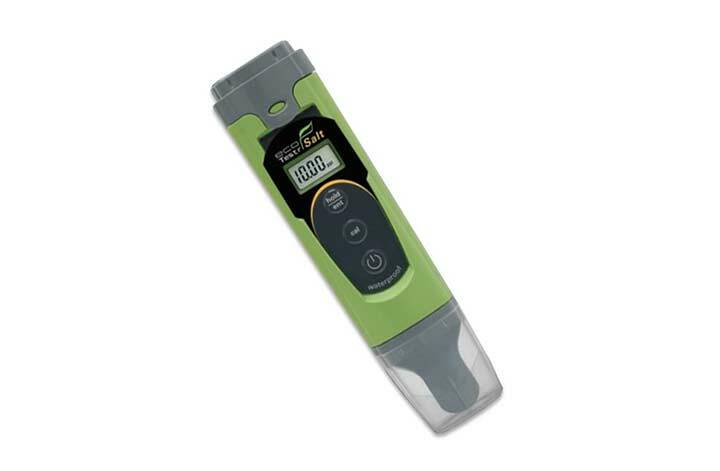 The Eutech Salt 6+ is ideal for testing salinity. It features a sturdy rubber boot, splash-proof keypad and a large LCD for easy viewing.